Give Your Kitchen A Face Lift! Where do you spend most of your time while at home?If you answered the kitchen, then you are like most of our customers who are fun, and socializing with friends while cooking is just the way the of life. So the heart of your home is your kitchen, everybody revolves around it and it can wear down quicker then the rest or your home. We can make your next kitchen update the smoothest project ever. It doesn't matter if you need some light fixes or a complete new kitchen with a whole new design, we will make it happen. The options are endless to make your kitchen functional and beautiful. 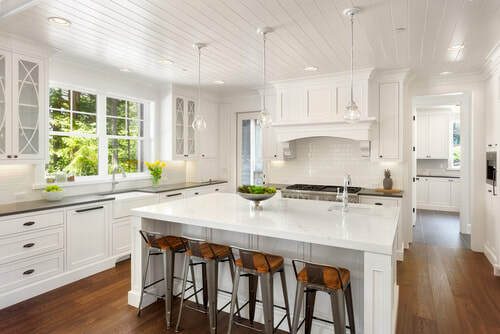 From modern, to traditional if you put a little effort into your kitchen, it can absolutely flatter your home and increase its value. Contact us for your free in-home consultation!! !